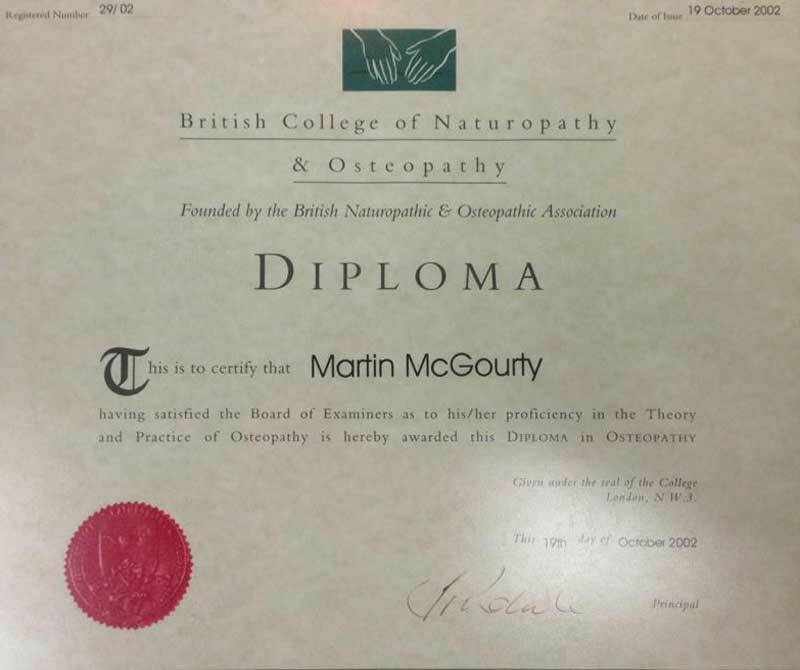 Martin Mc Gourty is a trained osteopath with over 12 years’ experience in the field, practicing from his current premises for 10 of those years. Osteopathy is an established, recognised system of diagnosis and treatment that lays its main emphasis on the structural integrity of the body. It is distinctive in the fact that it recognises much of the pain and disability we suffer stems from abnormalities in the function of the body structure as well as damage caused to it by disease. It is recognised by the British Medical Association as a discrete medical discipline. 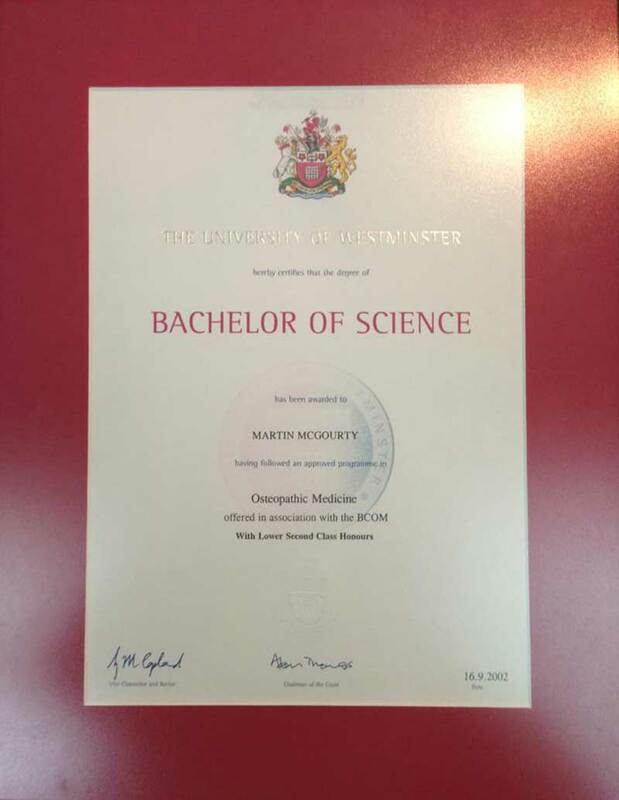 Martin has built up a wealth of knowledge in this time. Treatments range from osteopathy in pregnancy, driving, back pain, sports injuries, right through to osteopathy for work strain. Whilst specific conditions are not curable by osteopathic treatments, osteopaths can greatly relieve the pain and distress involved in some of these problems. With your permission, an osteopath will contact your doctor if medical treatment is needed. Martin, as with all osteopaths, follows a strict code of conduct.